The most comfortable socks you’ve ever worn. 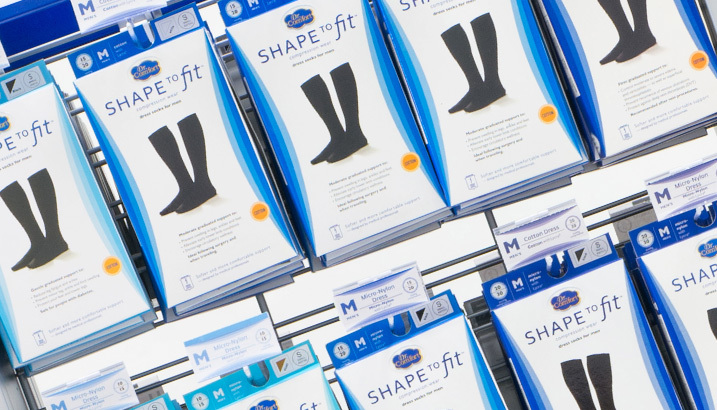 Offering health benefits to maintain healthy feet, our seamless, moisture-wicking socks are designed for those living with diabetes, edema, neuropathy, circulation issues or other foot health concerns. Our Dr. Comfort Diabetic Socks and Compression Wear are available in a variety of styles, from no-show to over-the-calf socks—and come in an array of colors. 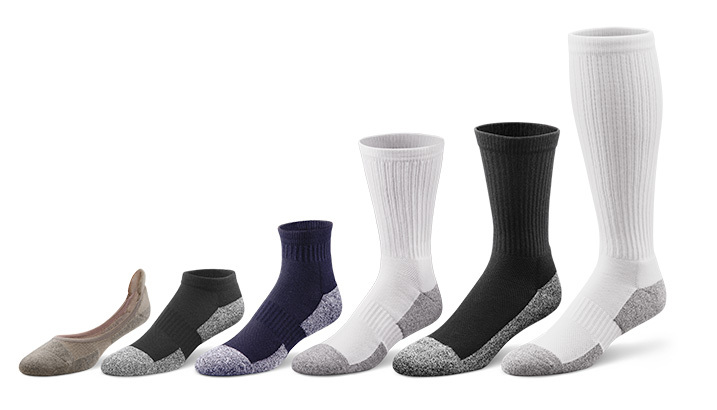 With thoughtful construction, our diabetic socks are designed with graduated compression to promote circulation in the foot, stay up and offer comfort, ventilation and light arch support. What Are the Benefits of Our Dr. Comfort Socks? We use Nano Bamboo Charcoal Fibers because of the many health benefits. It makes our socks more breathable and heat regulating than cotton, hemp, wool or synthetic fabrics. The bamboo fabric prevents odor-producing bacteria from growing and spreading in the socks, allowing them to be more hygienic and safer for those with diabetes and other foot health concerns. 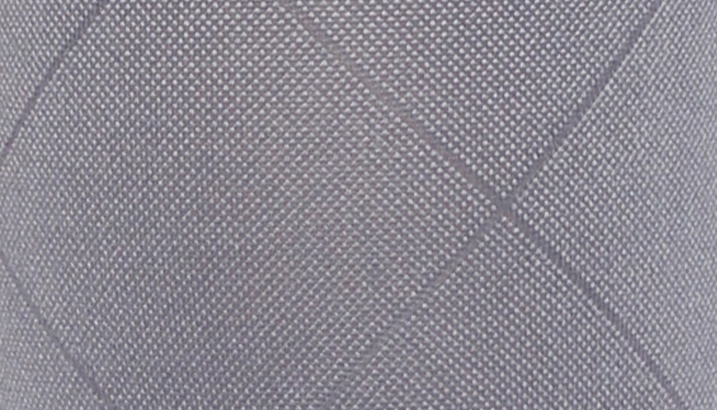 Using this bamboo fabric for our socks is a sustainable, chemical-free way to take care of your feet. 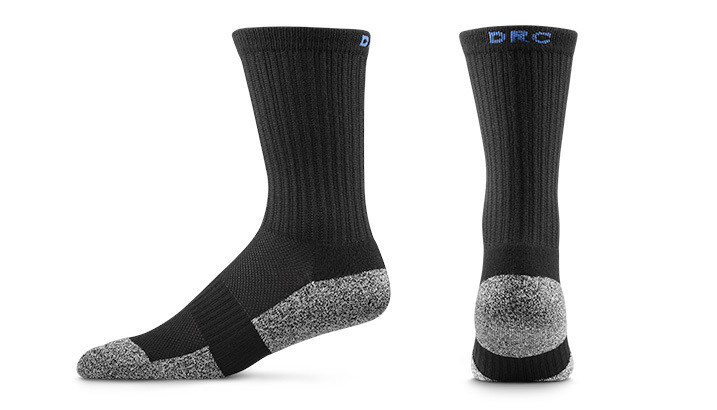 Our socks aren't available in a retail shoe store, but you can purchase them online, by phone or from an authorized Dr. Comfort footwear partner in your area.